It is generally believed that there are three or five common motivations that drive nuclear proliferation. Notwithstanding the fact that “security” is considered as a main nuclear motivation, it shall not be examined; instead, this essay shall focus on the “domestic politics” motivation since North Korea has a peculiar political system. Without mention, domestic policy-making is a highly sophisticated process while an important policy like a nuclear program is the final product of institutional and specific fractions disputes. As Colin Gray notes, after all every single policy is ultimately determined within states. Specifically, North Korean nuclear motivations are divided into three categories: shields, swords and badges. More importantly, the causes of nuclear proliferation differ from nation to nation. That means that some motivations are important for some states but they are less important for other states. North Korea is known as a totalitarian nation with extremely strong leadership – even stronger than that of Stalin and Mao. Moreover, the military is the most influential organization in North Korea and it even controls the domestic economy. Although it not easy to say, due to the lack of reliable information, it seems that military activities and their relation with the economy are very deep and strong. It is said that Kim Jong Il gained power particularly from the military. However, it is wrong to suppose that this formidable regime was not restrained by domestic political and bureaucratic actors. For instance, the centralized regime is still required to control the military interests; otherwise it is difficult for the regime to stabilize the nation. For example, when Kim Jong Il was inaugurated as the head of the North, he first controlled the military. Furthermore, its political course echoes the institutional interests. Therefore, although it seems that the leadership can control everything, its decisions are still strongly influenced by other actors mostly from the military interests. With regards to the political motivations of the North Korean nuclear program, it is said that the North seeks to pursue nuclear weapons in order to maintain its “military-first” politics (Songun) otherwise it cannot stabilize the country. Benjamin Habib maintains that “nuclear weapons development also serves the narrow bureaucratic interest of institutions within the North.” Nuclear weapons are vital to the regime survival as they can demonstrate its strong posture in the state. Additionally the nuclear capability enhances its symbolic figure in the politics. North Korea’s own survival (internationally and domestically) is particularly important to the regime given its unique political system, Juche (founded by Kim Il Sung for the protection of the national sovereignty), or self-reliance. In fact this Juche system was successful until the 1960’s partly because of the industry infrastructure Japan left behind during its annexation of Korea (1910-1945). Yet, this system has virtually collapsed due to the economic crisis and the great famine of the 1990s which created the need for international help. However, the Kim regime fears that international help would undermine the regime due to an inflow of new culture from overseas. North Korea understands that it needs to open the society in order for economic recovery to come about. Nevertheless, it will probably not do so, and thus nuclear weapons appear to be an absolute means to control the nation. In this respect, nuclear weapons have become the badge of the military regime to justify its existence. Furthermore, Kim Jong Il domestically could claim that the North Korean people were protected by its nuclear arsenals, which was merely in his interest. Ultimately, nuclear weapons can legitimize and stabilize the regime, and the bureaucratic actors. In this light, it becomes obvious that the nuclear weapons program under the names of North Korea’s political system, Juche and Songun, does not only serve as a security guarantee but also as a means to stabilize the nation domestically. Despite the great technological barriers such as the mineralization of warheads for mounting the missiles, North Korea’s nuclear weapons program is more feasible than generally perceived. Most importantly, however, as long as the “military-first” regime gains profits from the program, it is unlikely that North Korea will relinquish its nuclear weapons. Moreover, the regime highly relies on the weapons program to ensure its own survival. Then, it is safe to say, even after the change of the leader, that the North Korean nuclear weapons are here to stay. Most likely, the current leader, Kim Jong Un, is following his grandfather’s and father’s logic and manner, so as to establish and secure his own power. Nevertheless, we also need to examine international factors that greatly affect the nuclear decision; otherwise, this paradigm does not account for its security posture and diplomacy, or known as nuclear brinkmanship. Hiroshi Nakatani is from Tokyo, Japan. He studied Political Science in Japan and obtained an MA degree in International Relations from the University of Birmingham, UK. His research interests lie, among other things, in nuclear proliferation in the 21stcentury; the history of the Japanese nuclear weapons program; nuclear deterrence in the second nuclear age; and the nature of war and the Clausewitzian ideas of war. This article was originally published under the title "The Impact of Domestic Politics on North Korea’s Nuclear Decisions" at The GW Post with a Creative Commons License. Follow the link for more details. This essay is partly based on the MA dissertation of the author: Why are nations still attempting to obtain nuclear weapons?, University of Birmingham, 2011. Shigemitsu Toshiaki, “Kitachousen no Shinzitsu (The facts of North Korea)” Tokyo: Nihon Bungei Sya, 2012. States acquire nuclear weapons to protect their own sovereignty. States acquire nuclear weapons to fulfil perception of national destiny or to be viewed as a “great power” in international affairs. States acquire nuclear weapons when a set of well-placed bureaucratic actors convince political leaders of the need for them. States acquire nuclear weapons because they have the technological ability to do so. Economics generally do not drive a state to pursue nuclear weapons, though advocates of nuclear weapons do argue that a nuclear defence is cheaper than a conventional defence. Colin, S. Gray. The Second Nuclear Age. London: Lynne Rienner Publishers, Inc.1999. Victor, Cha. “Badges, Shields or Swords? : North Korea’s WMD Threat.” Political Science Quarterly, Vol. 117, No. 2, Summer, 2002, pp. 209-230. David, Reese. The Prospects for North Korea’s Survival.Oxford: Oxford University Press.1998. Benjamin, Habib. “North Korea’s nuclear weapons programme and the maintenance to the Songun System.” The Pacific Review, Vol. 24, No. 1, 2011, pp. 43-63. Etel, Solingen. Nuclear Logics: Contrasting Paths in East Asia and the Middle East. Princeton: Princeton University Press.2007, pp.118-140. Benjamin, Habib. “North Korea’s nuclear weapons programme and the maintenance to the Songun System.” The Pacific Review, Vol. 24, No. 1, 2011, pp. 43-63. David, Reese. The Prospects for North Korea’s Survival. Etel, Solingen. Nuclear Logics: Contrasting Paths in East Asia and the Middle East. Benjamin, Habib. “North Korea’s nuclear weapons programme and the maintenance to the Songun System.” David, Reese. The Prospects for North Korea’s Survival. Watanabe, T. Shin datsua ron (New de-Asianization). Tokyo: Bungei Shusyu.2008. Emphasis added. Etel, Solingen. Nuclear Logics: Contrasting Paths in East Asia and the Middle East. David, Reese. The Prospects for North Korea’s Survival. Willian, J, Perry. “Proliferation on the Peninsula: Five North Korean Nuclear Crises.” Annals of the American Academy of Political and Social Science, Vol. 607, Sep., 2006, pp. 78-86. Ibid; Etel, Solingen. Nuclear Logics: Contrasting Paths in East Asia and the Middle East. Princeton: Princeton University Press.2007, pp.118-140. Jasper, Becker. 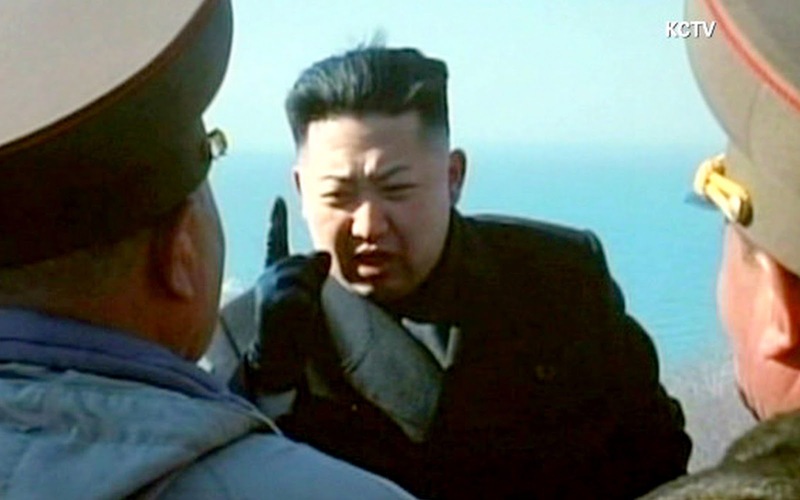 Rogue Regime: Kim Jong IL and the looming threat of North Korea. New York: Oxford University Press.2005.